A striking bubble wall with soothing colour change light for the ultimate statement mood lighting, the sensory bubble wall is also a favourite for sensory rooms. 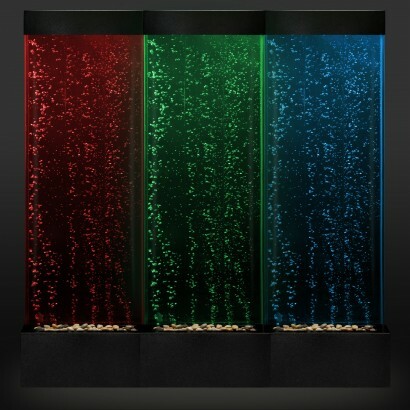 Sensory bubble walls make a striking contemporary water feature where continuously rising bubbles and colourful LEDs combine to give a soothing visual display and the ultimate statement mood lighting. Set to one of five cool settings; flash, strobe, fade, smooth and static colour using the remote control included for mesmerising effects. 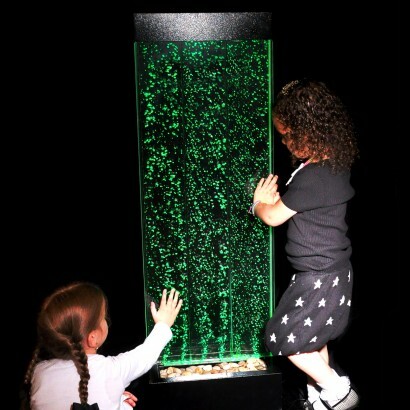 Ideal for use in sensory rooms, bubble walls are perfect for individuals with Sensory Processing Disorder (SPD) as tracking the continuously rising bubbles and the colour change light helps to improve visual development and communication skills. 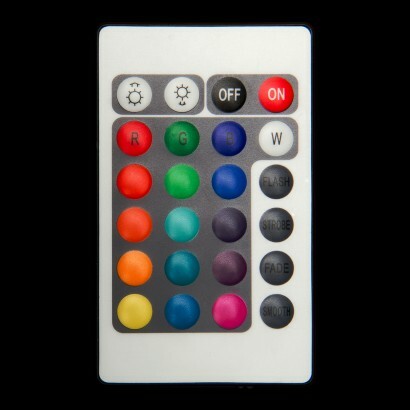 Fully self contained, simply fill with cooled boiled tap water and the air pump included will create the hypnotic bubble effect as you choose from colour change settings or from one of sixteen static colours. 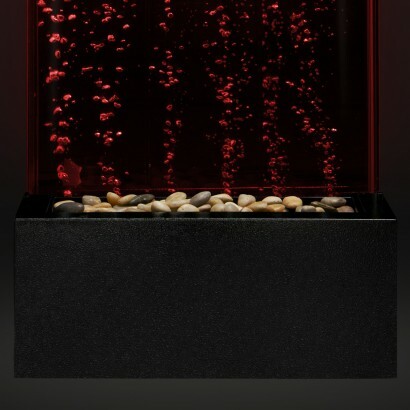 Standing at an impressive 120cm tall, the freestanding bubble wall boasts a high quality black metal frame and ornamental stones in the base to complete the zen feel and because it's freestanding, it can be placed anywhere for colourful, soothing effects!